The small islands of Hunga Tonga and Hunga Ha'apai cap a large seamount located about 30 km SSE of Falcon Island, approximately 65 km NW of Vuna Wharf, Nuku’alofa, and 70 km SW of Nomuka Island. The two linear andesitic islands are about 2 km long and represent the western and northern remnants of the rim of a largely submarine caldera lying east and south of the islands. Hunga Tonga and Hunga Ha'apai reach an elevation of only 149 m and 128 m above sea level, respectively, and display inward-facing sea cliffs with lava and tephra layers dipping gently away from the submarine caldera. A rocky shoal 3.2 km SE of Hunga Ha'apai and 3 km south of Hunga Tonga marks the most prominent historically active vent. 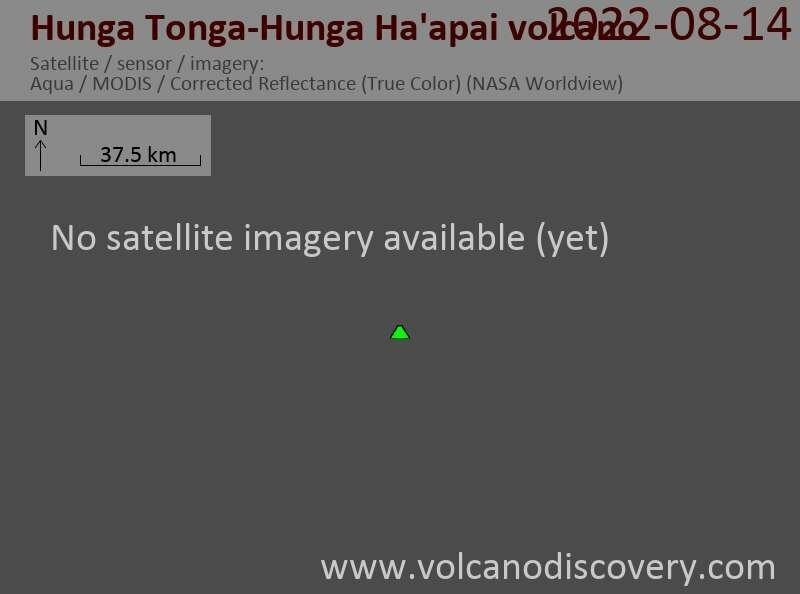 Several submarine eruptions have occurred at Hunga Tonga-Hunga Ha'apai since the first historical eruption in 1912.